Thoughts: Loved that this one revolved around younger characters. At what point in our lives do we lose our innocent outlook on the world? Is it at the end of childhood? After adolescence? Somewhere at the beginning of adulthood? At what point do we stop seeing it through rose colored glasses, and become jaded with reality? If we knew it was coming, could we stop it? Graceleynn Matthews saw the good in everyone. She was beautiful inside and out, a born leader, and everyone’s best friend. For years she crushed on, Greg Neely, the star soccer player of the NYU Men’s team. Greg was everything Grace wasn’t, rich, entitled, and spoiled. When he wanted something, he made sure he got it. When he finally noticed Grace, she was thrilled. The one man who she thought would never notice her, was showing interest. But Greg wasn’t who he seemed. There was a side to him that would change Grace forever, a side that would turn her word upside down and send it spinning out of control. Fallen From Grace is book four of the Second Chances series. This book contains profanity, sexual situations, and other adult content. It may not be appropriate for readers under the age of 17. The Second Chances Series has had some amazing reads, but this one really takes the cake. I love that the author tackled a younger couple. It was not only contemporary romance, but had the feel of a new adult novel as well. 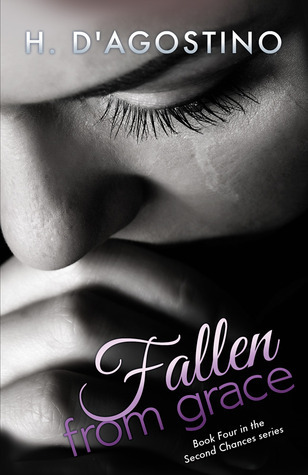 Again, as with the other books in the series, Fallen From Grace is a moving romance that will pull at the heartstrings.